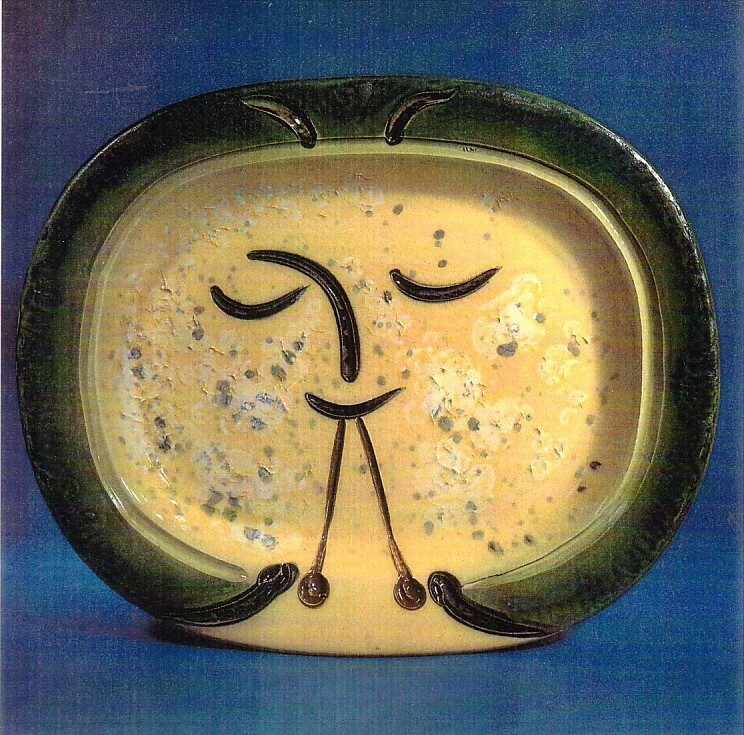 1947 Limited edition rectangular earthenware serving plate by Pablo Picasso. A.R. white earthenware clay, decoration in engobes, engraved under yellow glaze.